EN : 4th Aerial Wing "Scorpions"
ID : Wing Udara 4 "Kalajengking"
Q : What is 4AW? A : We are a virtual multirole air wing of the Neo United Nations - Independent Military Forces ( NUN-IMF ) for YSFlight Simulator game who operates in a organized manner. Our home base is located in Central Mediterranean Islands' Turbot and Winnsworth Islands ( fictional ), Indonesia's Adisutjipto Air Force Base, and Hawaii's Naval Air Station ( NAS ) Madobe ( fictional ). Q : What's your primary job? A: Our primary job is keeping the skies on servers secured and safe from vulchers and rule breakers, but we also do other mission types, such as bombing, reconaissance, air-lifting, etc. Q : What are your squadrons? - 4th Aerial Squadron ( 4AS ) "Black Scorpions" as a multirole fighter squadron. - 5th Aerial Squadron ( 5AS ) "King Scorpions" as a bomber / heavy assault squadron. - 6th Aerial Squadron ( 6AS ) "Night Scorpions" as a reconnaissance squadron. - 7th Aerial Squadron ( 7AS ) "Desert Scorpions" as a combat helicopter squadron. - 8th Aerial Squadron ( 8AS ) "Giant Scorpions" as an airlift squadron. Q : Where does your squadron comes from and what nationallity it is? A : We're a multi-national squadron that originates from Indonesia. Q : What are the requiretments to join? - Musn't be younger than 13 years old. - Able to perform basic flight activities, such as take-off, landing, and cruising. Q : What are the rules of 4AW? - Pilots are sworn to be loyal to the air wing. If betrayal is found, the betraying pilot will be kicked out from the air wing. 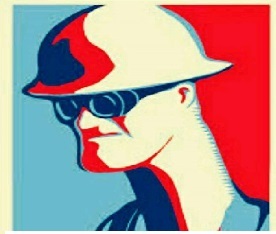 - Must be able to fulfill his/her own duties. Q : Where can I download the squadron pack? Q : What's your fleet? Q : What are your ranks? - Ensign : The entry rank. - 1st Airmen : The first rank. - Sargeant : The second rank. - Lieutenant Junior Grade : The third rank. - Lieutenant : The fourth rank. - Captain : The fifth rank. - Major : The sixth rank. - Lieutenant Colonel : The seventh rank. - Colonel : The eighth rank and the last rank which is able to get from normal promotions. - Rear Admiral : The executive officer rank. - Admiral : The commanding officer rank. Q : Can I apply now? Q : Where's the application form? Q : Ok, thanks! I'll apply now. A : You're welcome as always and have a nice stay with us ^_^ ! To apply, please copy and paste the template bellow and fill them in in the reply box. Last edited by The Second Maverick on Thu Jan 03, 2019 2:12 pm, edited 30 times in total. 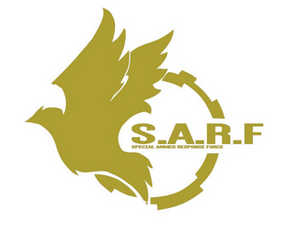 I'm proud to support SARF's continuing partnership with the 4AS Scorpions through the Neo United Nations! - How often do you play YSFlight? : Every day except when there is a family trip. - How active are you in YSFHQ? : Almost every day. - What speciallity do you have ( e.g. air superiority, air-to-ground, cargo delivery, etc. )? : I'm the commander of new QRF so I have Anti-Surface experience, and I also have experience conducting a intercept procedure (I have a video on youtube). - Do you want any further trainings with us? : Advanced fighting (Anti Air) maneuvers. - Why do you want to join 4AS? : I want to join a squadron to learn how to operate in a squadron. I also want to protect the civilian planes from unruly planes, because I'm also a civilian pilot. Your request has been granted, welcome to the Scorpions, Kato! Don't forget to join our Discord Server. Last edited by The Second Maverick on Fri Aug 04, 2017 3:51 pm, edited 1 time in total. NEWS : We have just updated our ranking system by adding Lieutenant Colonel, Colonel, & Major ranks. Lieutenant Colonel rank will be available after passing Lieutenant rank, and Colonel rank will be available after passing Lieutenant Colonel rank, and is the last rank capable to achieve in normal promotions. And Major rank is reserved for executive officers. - Why do you want to join 4AW? : I am looking for my first group with YSflight. Congrats Jaxon you are now part of 4AW! A PM will be sent shortly with the Discord link. RANK CHANGE ANNOUNCEMENT: The Major Rank is now replaced with Lieutenant General Rank. Commanding Officer rank is replaced with General rank. UPDATE of WIP Pack: About 1/2 of pack finished. 4AW will need more modders who can make aircraft repaints for 4AW. 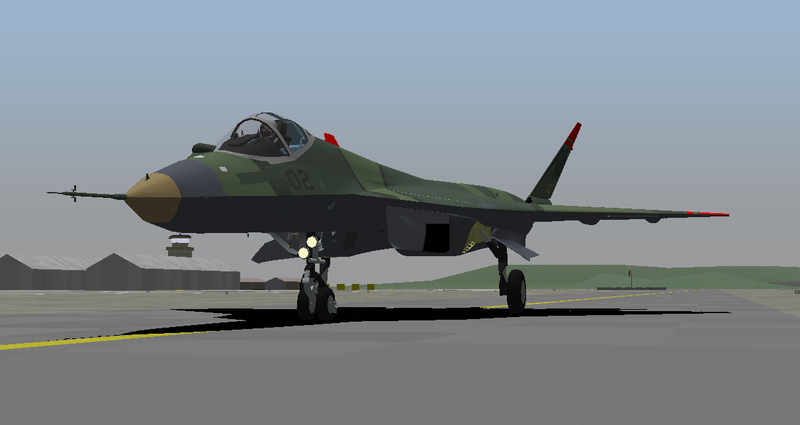 NEWS : We have noticed that some of our aircrafts are OP ( Over Powered ). To handle with this, the 4th Aerial Wing has started Operation Fair Fight, where the air wing is going to scan all of its aircraft's data and edit them if there are any performance found too extreme, we're going to fix it / them. We'd like to say sorry to all YSFHQ members, any squadron members, and other people I forgot to specify for this inconvenience. Expect pack 1.5 patch release in maximum a week. Are you affiliated with other YSFlight? I've never been into any squadron. Why do you want to join 4AW? Because I want to meet friends and compete with them. Thanks for your interest in joining us, Robert. We will get back to you shortly to review your application. If you haven't got any reply within 24 hours, please send me a P.M.
@Robert : Congratulations, you've been accepted in 4AW, we'll give you the next details as soon as possible. - Why do you want to join 4AW? : I want to become active in the YSFlight community and become a better pilot. - Name : Graham "BUCK"